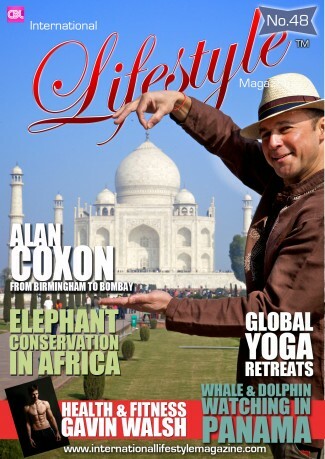 Alison Howell’s Foot Trails has hit the headlines in two prestigious travel publications. JetSetter.com declared the company’s experiences one of the seven adventure experiences to take in your lifetime in its article on March 14th. On the same date, The Telegraph newspaper included Foot Trails Complete Cotswolds walking trip, from Chipping Campden to Bath, in it’s Europe’s 50 Greatest Walks article at number 45. Alison Howell’s Foot Trails opened the doors of its new HQ on Friday 28 September to past staff, drivers, country inns, trail volunteers and colleagues including designers, accountants and advisors – celebrating successes of the last decade of Foot Trails and looking to ambitions for the future years. 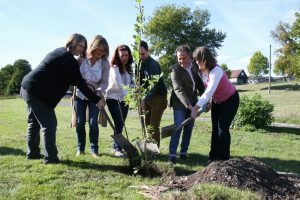 Team Foot Trails planted an oak tree in the grounds of the Fonthill Country Estate in Wiltshire where the company has created a base and office in a converted agricultural building. 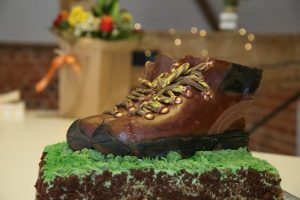 Guests enjoyed bubbles and an awesome cake shaped as walking boots. Every part was edible including the caramel laces and boot tread. Have you dreamed of walking across England? We are thrilled to announce to you the launch of our new 2019 brochure and advise you our bookings for 2019 are now open. Foot Trails is a small company with a big heart. 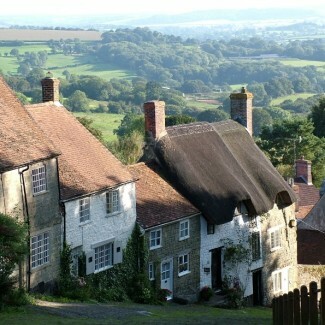 And bags of expertise in custom making walking trips through South West England. 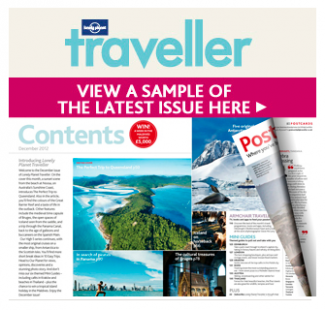 Featured regularly in top travel publications including National Geographic Traveler, Lonely Planet, The Los Angeles Times and more, Foot Trails team of English countryside enthusiasts and experts will help you enjoy a trip of a lifetime. Our new English Country Houses and Gardens trails are already hitting the headlines. Introduced for 2018, they weave together gentle walking with some of England’s finest historic homes and their stunning landscaped gardens. JetSetter magazine has included these latest trips in its listing of the top adventure vacations you should ever take. Read the Jetsetter feature here. 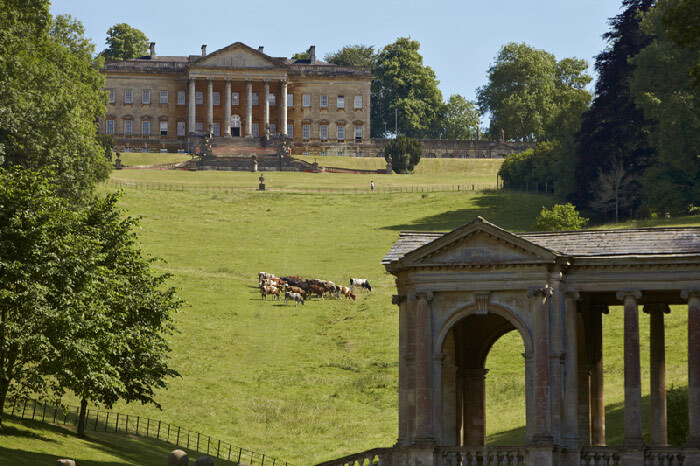 The carefully crafted new routes mean that heritage lovers, horticulture enthusiasts and fans of Downton Abbey and other BBC dramatisations have a unique chance to combine the magical parkland vistas and grand architecture of our stately homes with a classic, gently paced Foot Trails foray into the countryside. Perfect for rainy days or just when you’d like a break from walking, these historic houses are destinations of global interest and packed with fine collections of art, books, antique furniture and decorative objects. There was much excitement last week at our office on the Fonthill country estate in Wiltshire when Alison received an email from TripAdvisor to say that Foot Trails has been awarded a Certificate of Excellence, based on all the wonderful reviews our guests post about their trips with us. We’d like to take this opportunity to thank each and every one of you who has travelled with us and taken the time to post your feedback. It is always appreciated so much, and we love hearing from you. Sharing a love of the countryside with our guests is at the heart of what we do, so it’s very rewarding when you communicate your enjoyment, or any feedback at all, with us. 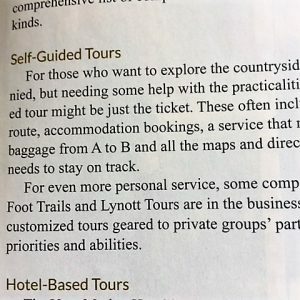 Respected travel journalist and writer wrote a comprehensive review about his experience of a Foot Trail, in January 2018’s i newspaper. You can read the full article which includes photographs here. 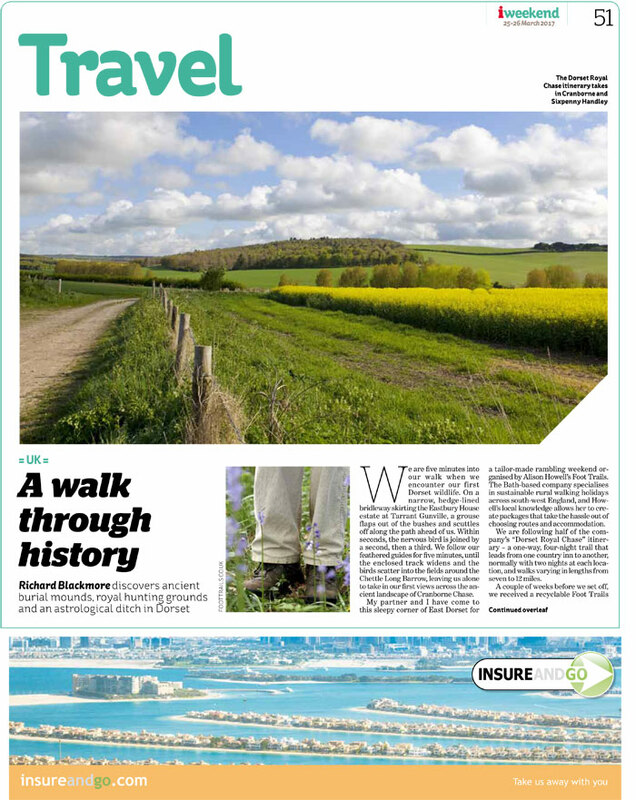 Discover Dorset with our hand crafted and custom made Thomas Hardy Tales walking experience, as featured by i newspaper. Step back in time, to an era where English author Thomas Hardy was inspired by Dorset’s landscape to write some of his most famous works. See the places which featured in his novels on this trail. Could you be our next Travel Sales Consultant? Based at our new country office at SP3 Wiltshire? We are looking for 2 talented Travel Sales Consultants – English walking trips (warm leads) to expand our team and help us create amazing memories and trips of a lifetime for our global guests. Your role will be to liaise with and talk with our guests to understand their needs and then work closely with them to custom make a walking trip they will love. You’ll love people and have a commercial understanding. You’ll also have a a strong passion for the English countryside. You’ll thrive on being goal orientated and enjoy driving to achieve targets. To apply and for full details of this opportunity, please visit the Recruiting page on this website by clicking below. Phone interviews 25 April & 26 April 2018. Interviews at our office 02 May & 03 May 2018. Could you be our next Production and Administration Assistant? Based at our new country office at SP3 Wiltshire? We are looking for a production / administration assistant to help us create amazing memories for our guests. 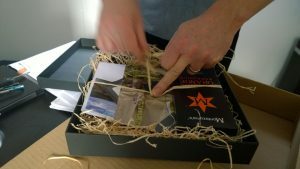 Your role will be to produce and prepare our much loved ‘walk & explore’ boxes. Our guests will rely on these boxes throughout their trip so an excellent eye for details, and a creative desire to make then look as good as they can be, are essential. In addition you will help to support to the team over the season with reception, enquiries & customer service, and administration. 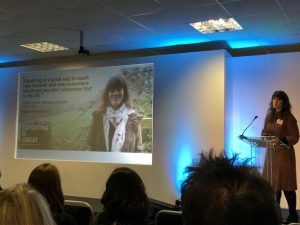 On February 8th 2018 Foot Trails was invited to speak at the West Country Tourism Conference in Exeter, Devon, the region’s largest tourism conference. Foot Trails Founder Alison Howell talked about our journey over the last 16 years. It was a wonderful opportunity for us to help inspire other businesses to reach internationally following our work over the last 6 years. We love living and working in South West England, and we are proud to be playing our part, by working in collaboration with other businesses, in supporting our region to be a place that successfully attracts guests from around the world. 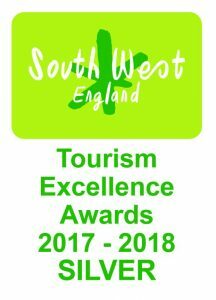 On February 1st 2018 Foot Trails was awarded a Silver Award – International Visitor Experience of the Year – at the South West England Excellence Awards in Torquay Devon. We are naturally thrilled and our heartfelt thanks to everyone who is part of Foot Trails journey. 647 companies in the region entered the awards this year and we are honoured to achieve Silver. We hope that winning this awards demonstrates our commitment to excellence and our passion for the English countryside. Our mission remains, to create and deliver world class, custom made walking experiences here in South West England. Travel that looks after individuals and seeks to enable people to walk through the best of our region, whilst caring for its communities and environments. 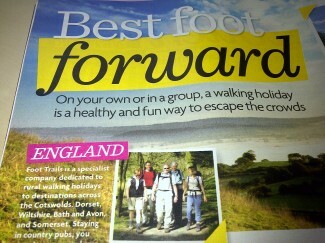 Times Travel has written about Foot Trails new Complete Cotswolds walk in its weekend travel pages. At 135 miles in total, Foot Trails new route has been called a rival to the more famous Cotswolds Way. 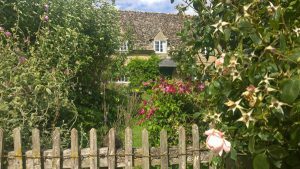 Complete Cotswolds, The Foot Trail, draws on 25 years of walking experience and enables guests to walk from Chipping Camden to Bath, either in stages or a longer fortnight trip. Foot Trails gifts on sale for Christmas! For the person who dreams of walking the English countryside. Foot Trails gift vouchers. They start from £25 and beyond, you can buy gift vouchers if you’d like your chosen lucky person to choose which Foot Trail they’d like themselves, or our expert Trip Planners will give you lots of help and advice and you can buy a complete Foot Trail holiday or vacation to give. It’s up to you. Find out more here on our gift page. Issac Avery made a fantastic addition to the Foot Trails team for the week, working directly with Alison to produce an outstanding report. Foot Trails is launching 6 new English walking trips including one to rival The Cotswolds Way – Complete Cotswolds, Chipping Campden to Bath is a 135 mile route, created by Foot Trails own in-house walking experts. 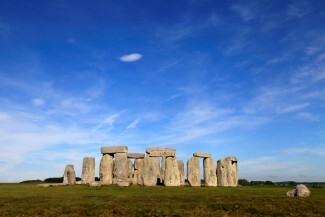 Other new trips include English Country Houses & Gardens, Stonehenge, Bath & Wiltshire and Castles, Lakes & Salisbury. The new Foot Trails are able to be completely custom made to suit guests walking ability, distance ideals, rest days and transport preferences. 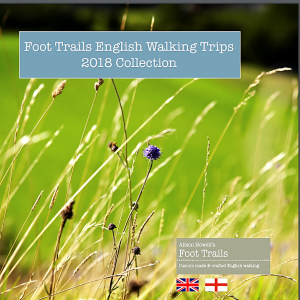 The 6 new trails feature in a brand new 57 page brochure which includes details of each of Foot Trails 2018 walking experiences as well as information on private guiding with Founders Alison & David Howell and colour photographs, taken on route. To see a copy of the brochure visit here http://bit.ly/2vCVfUc or email enquire@foottrails.co.uk to receive your own personal copy. 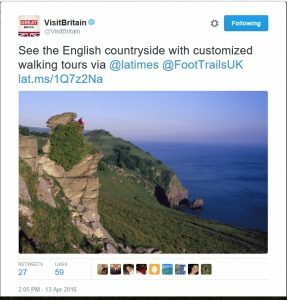 An article written by Canadian press, praised Foot Trails for its walking expertise in South West England and ability to custom make walking trips for guests. The article highlights Foot Trails personal service. Great news! Foot Trails has been approved and registered as a Trade Mark. So you’ll now see us look like this Foot Trails ™ Look out for the Trade Mark sign to be sure you are booking a genuine Foot Trail. Visit England and Visit Britain have declared this year, to be the Year of Literary Heroes. Celebrating such literary greats as Thomas Hardy and Jane Austen, both of whom we are proud to feature in Foot Trails. 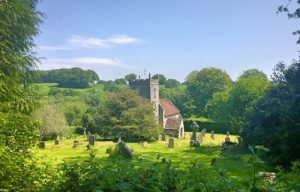 And we are thrilled that Visit England and Visit Britain has included two different Foot Trails walking holidays in their suggestions for travel and tourism experiences that enable you to walk in literary footsteps – Tess’ Journey Hardy Tales and Somerset Knights Quest on their website. Look out for the Year of Literary Heroes logo, proudly displayed on our holidays. Fantastic coverage for Foot Trails in iNews! New fully responsive website is live! We are thrilled to launch a new fully responsive website to you, just in time for Christmas. Maintaining Foot Trails signature look and feel we’ve aimed to enhance the use and information provided on the website for you. Look for the new pages and features, giving you the ability to search for trip inspiration by county, by season or by the style of walking you wish to do. You can read the new “Why Walk This Way” page and also find out about Foot Trails choice of walking trips and experiences for corporate teams. 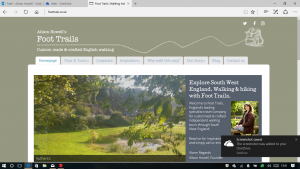 Foot Trails new website goes live! 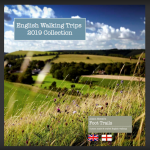 If you are planning to walk a Foot Trail in England with us, and you are wandering when is the best time of year for your visit, you won’t want to miss our new and complimentary, Seasonal Guide to Walking in England. This new 12 page guide is not only filled with gorgeous colour photographs, all taken on Foot Trails trips and trails, but there is a practical summary of the natural sights of each English season along with a little description of the expected climate. To receive your free digital copy please email the Foot Trails Trip Planning team at enquire@foottrails.co.uk with the subject line “Seasonal Guide” giving your name and country where you live so we can advise you. Guests love Foot Trails guided Cotswolds Autumn Glow! 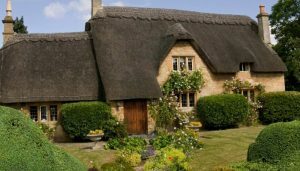 As autumn continues to unfold in the Cotswolds, guests (all of whom have travelled with us before) from the USA, the UK and Australia joined our expert guide David Howell for our seasonally named, Cotswolds Autumn Glow. 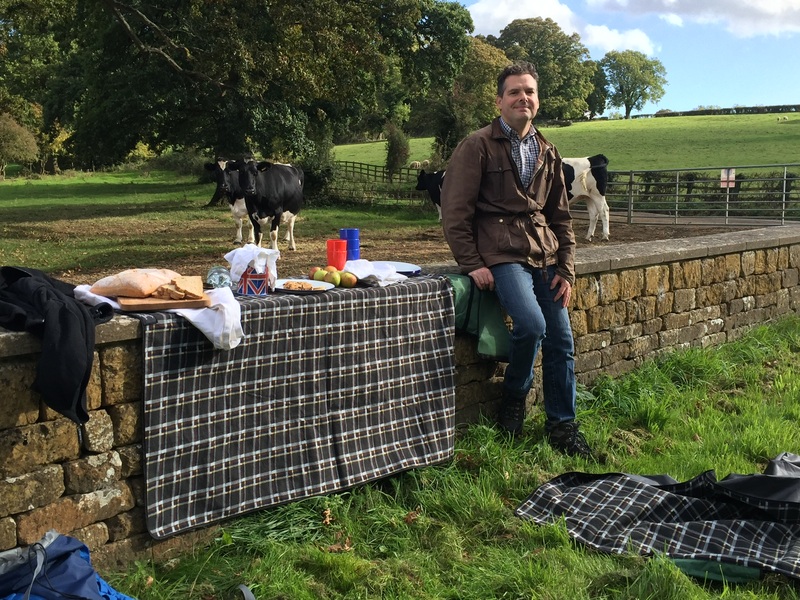 Over three days and three nights the party stayed at one of our handpicked country inns in the Cotswolds and set out each day with David to enjoy fresh air, stunning scenery, historic villages and as you can see, a spectacular outdoor picnic – cooking and eating hot soup on the stove. If you would love a privately guided Foot Trail, please get in touch. As summer moves towards autumn Foot Trails has been hitting the headlines. October issue of Good Housekeeping Magazine feature our new Bath Prior’s View day walk and online Foot Trails have been discussed in Belguim, Holland and globally with this article in The JetSetter blog on our plans for 2017. New 2017 brochure is live! It’s been a wonderful few months. And we’re thrilled to launch our new 2017 brochure. Walking Expert David Howell’s walking boots are our cover stars this year. Together the team have created over 900 miles of walking experiences across South West England, so have a browse of our latest brochure and lace up your boots for the off! Click below to read. We weren’t kidding back in January when we said 2016 was going to be an exciting year for us! As our company grows, so too has our team with the addition of Sarah Larmour, PA to Alison working Tuesday and Thursday mornings, Adrian Tanner who is Foot Trails’ new book keeper, and Katie Stinchcombe, who joins us full time from The Soil Association. Katie is our new Guest Liaison Manager with responsibility for guests trips after booking, until arrival and throughout their holiday. At the beginning of June, Alison was interviewed by Insider South West magazine to contribute to their article about exporting goods and services ‘Bags of Expertise’. 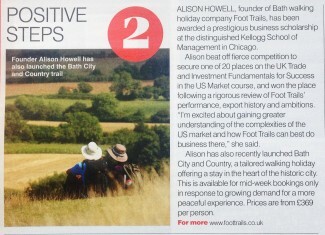 Foot Trails is recommended by The Huffington Post! 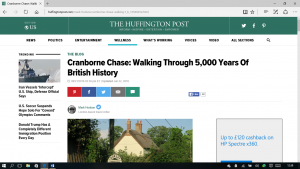 We welcomed Mark Hodson from The Huffington Post along onto our newest trail: Dorset Royal Chase. He enjoyed exploring the Cranborne Chase, staying at two of our wonderful partner inns and truly experiencing North Dorset in all its’ glory. And after experiencing a Foot Trail he wrote this terrific review. We want to keep developing new trails and experiences for our guests. 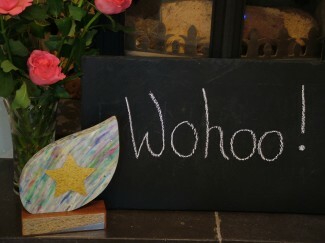 So we are always excited when we are launching new trips, trails or places for our guests to stay. 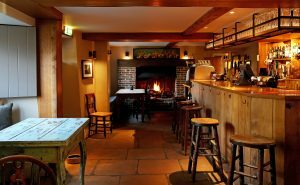 We were delighted to welcome two new country inns to Foot Trails family this month. Both based in Dorset. And we look forward to welcoming our guests later on this year. 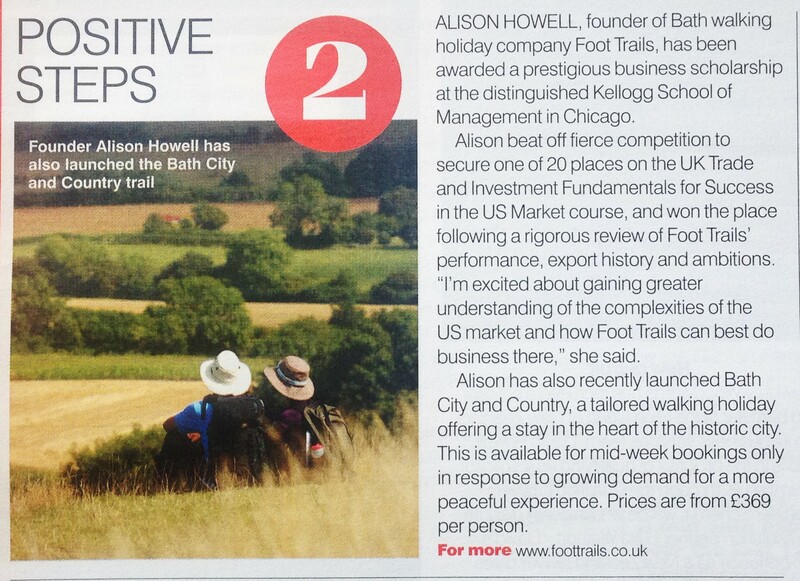 Foot Trails features in the Los Angeles Times, USA & National Geographic Traveller! This month we were really thrilled to be featured in not one but two international publications. The highly respected Los Angeles Times travel section featured our Foot Trails South West Explorer trip, highlighting the custom nature of our holidays – click here to see the article. And National Geographic Traveller, also highly respected in the world of travel, included an interview with our founder Alison in their recent article on the changing nature of walking holidays. You can read this article and Alison’s views by clicking below. 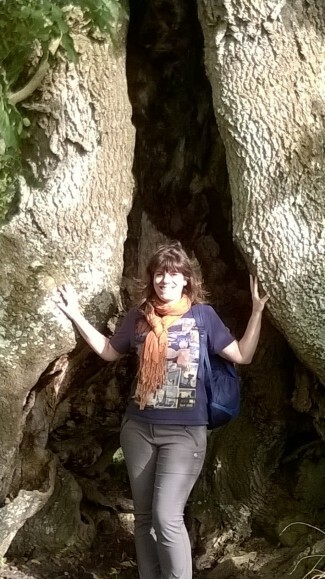 A warm welcome to Foot Trails new Trip Planning Support, Julia Morrish. Julia joins our team to help guests with their initial enquiries and support the team creating custom made itineraries for our walking travellers. 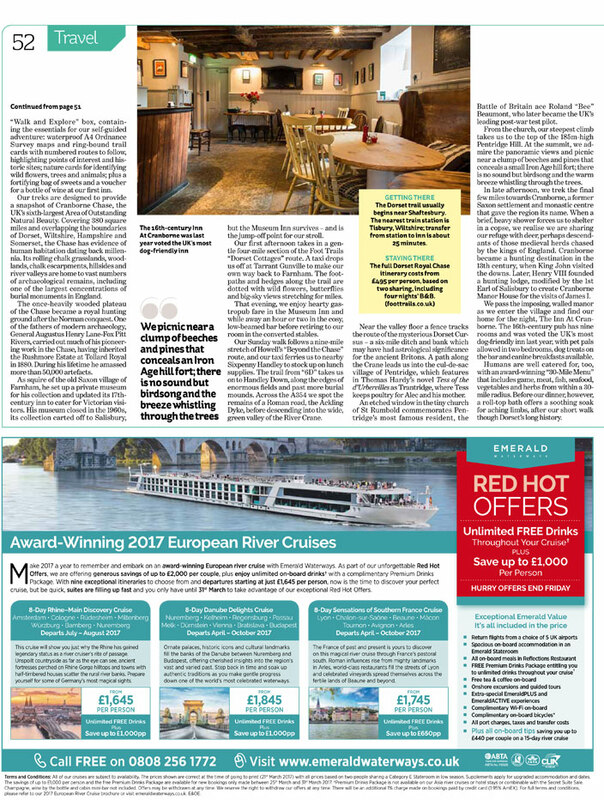 We’ve been really excited by the coverage we’ve received in the national and industry travel press over the past couple of months. Watch this space for further updates, we hope that 2016 is going to be an exciting year! 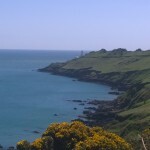 Coast magazine names Foot Trails as one of their 10 best walking holidays by the sea! We were thrilled to be listed at #1 of Ten great jet-free getaways in the Daily Telegraph in an article suggesting greener ways to travel. Alison was interviewed by Sarah Baxter for the Independent as part of their Winter Walking article which was also featured in the I Weekend magazine. 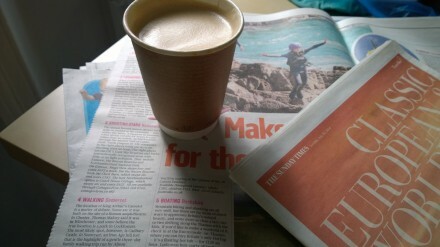 Did you spot us in the Guardian this month? Lonely Planet Traveller featured our Tess’s Journey; Hardy Tales walk as part of their Easy Trips for late Autumn article. 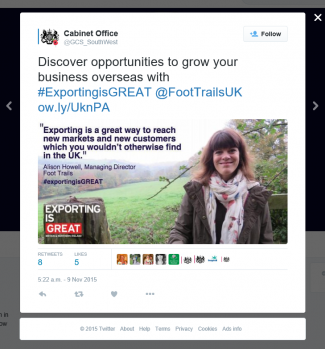 We’re very proud to be supporting the government’s new #ExportingisGREAT campaign. 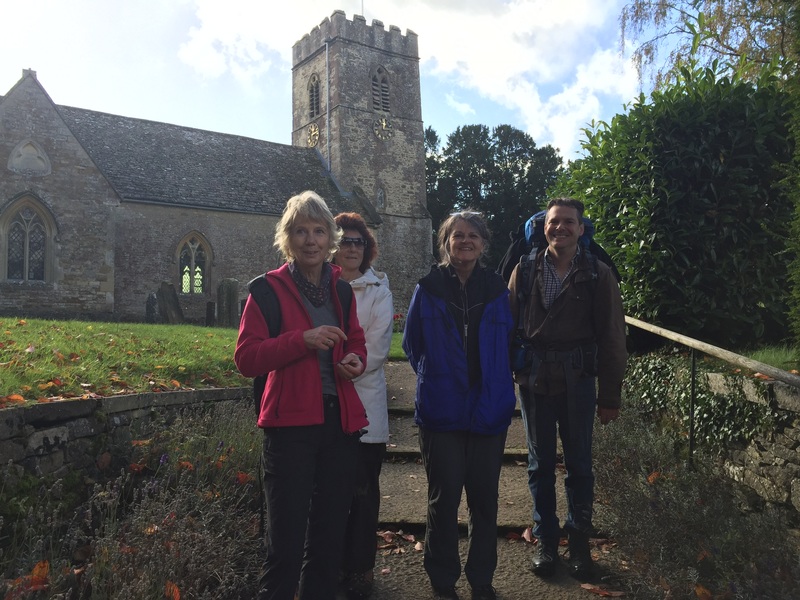 We love to welcome guests from around the world and share our expertise and local knowledge of South West England with them as we create our highly personalised walking trips. Export is a journey we first began with some intent in 2012 with UKTI SW.
On Monday we met and talked with with BBC Points West TV correspondent Dave Harvey and of course we went for a walk! We made a short film about our journey which we believe will be shown on BBC Points West on Thursday 12 November at 18.30. @aoltraveluk have picked Foot Trails in the number ten spot of their latest Top Ten of UK activity holidays. We’re thrilled! We’re all excited to launch our brand new 2016 walking holiday program with a new brochure. And guests around the world have been getting in touch by phone and email with the team following the launch to discuss their plans for a 2016 walking holiday. New trips include the independent South West Explorer, a walk, tour and explore style walking holiday which will help guests to discover highlights of six counties of the south west region. And for guided fans the Autumn Glow in the Cotswolds makes its debut in October 2016. 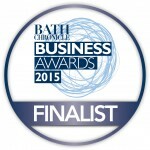 Congratulations Alison, who has been shortlisted for the Business Person of the Year award in Bath Chronicle’s annual business awards. 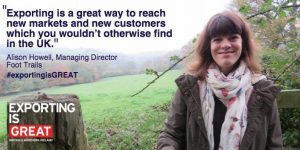 Alison was recently filmed by Tim Pellatt on her business journey to date to make a short film which will be shown at the awards evening at Bath Racecourse on Thursday 24th September. Tim Pellatt said: ” Always a pleasure to interview someone who fully appreciates my walking/ rambling type puns.” Good luck Alison! Foot Trails is launching a series of new expert led guided day walks guided by Foot Trails Walk Director and Guide David Howell. The first walk is scheduled for Thursday 07 May starting at 09.45 am at Salisbury Railway station. David has been helping guests from around the world to unravel the mysteries and beauty of the Stonehenge landscape for over 12 years. There are many theories as to how these world famous stones got there and what the site was used for David will share his views. Thank you so much for all your support, words of encouragement and messages for my nomination for Woman of the Year in the awards supported by the Bristol Post and Bath Chronicle. The Woman of the Year went deservedly so in my humble opinion to a lady called Annette Gabbedy. Annette is a Designer Goldsmith, born without hands she crafts exquisite jewellery and has a beautiful shop and work shop in Frome, Somerset. In fact, by incredible co-incidence Annette made my engagement ring and wedding ring 16 years ago for me! So it was wonderful to be re-united at the awards dinner. And to also meet and talk with so many inspiring and interesting women in business and hear their stories. Thank you again. I really appreciated your words and I was honored to be short listed in the final three ladies. Alison. We are happy to announce that our founder Alison Howell has been short listed in the Bristol Post and Bath Chronicle Women in Business Awards 2015. Alison has beaten off stiff competition to reach the final three for the award of “Woman of The Year” for her role in developing Foot Trails walking experiences in the travel industry. 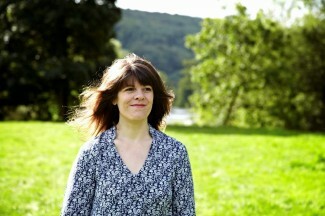 Alison started Foot Trails from scratch in 2002 and has worked with her team to grow it to become on of England’s leading activity providers with a reputation for responsible tourism. 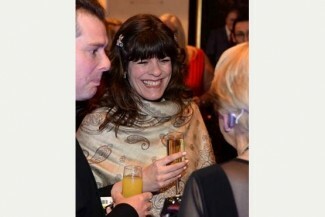 Short listed along side Alison is Annette Gabbedey Designer Goldsmith and Ellen Green of the Blue Badge Company. Congratulations to them both. 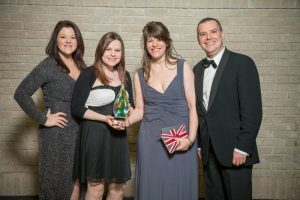 Winners will be announced at a celebratory black tie dinner and ceremony at The Bristol Marriott on 19 March. House of Coco love crisp winter walks and have drawn on Foot Trails seasonal walking expertise to feature this expert advice for winter walking in the UK. Please read the full article online. The LA Times, Los Angeles USA has featured Foot Trails new guided walking tour, Ancient Gods, Myths and Legends to its readers on Christmas Eve. 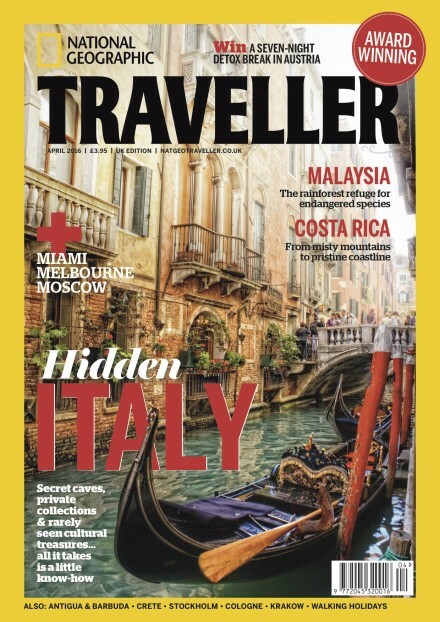 Foot Trails hast hit the headlines this month with a debut in the presitgous travel magazine National Geographic. Foot Trails were delighted to be joined by respected travel journalist Sarah Barrell and her daughter (8 years old) Ella. 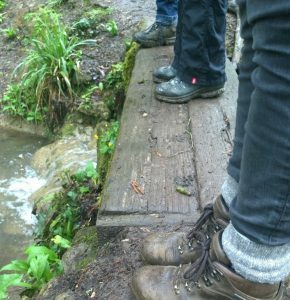 Sarah wrote about her experiences with Foot Trails on our Bath City and Country walking trip. We’re delighted to announce that Alison Howell our founder and Managing Director has been awarded a prestigious business scholarship to the Kellogg School of Management in Chicago, USA. Alison beat off fierce competition to secure one of just 20 coveted places available across the UK on the five-day course, UK Trade and Investment Fundamentals for Success in the US Market. Alison won the place following a rigorous application process, which reviewed Foot Trails’ performance, export history, plans and ambitions and included an interview by a panel from UKTI, including American and British representatives. The course will take place in September at the Kellogg School of Management, one of the USA’s most distinguished business management schools, at Northwestern University, Chicago, Illinois. 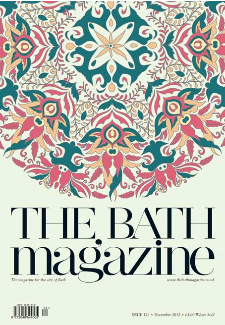 We’re thrilled to be featured in September’s Bath Life magazine. Well done Sunday Times. Who have today published a fantastic supplement whose whole ethos is – let’s get out children outdoors this summer and back to nature. 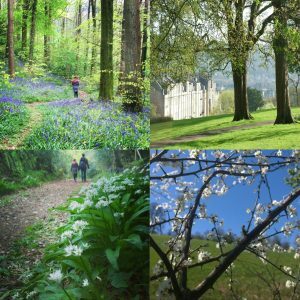 Foot Trails has long been advocates for encouraging everyone outdoors to enjoy simple yet rewarding activities such as spotting and naming wild flowers, discovering stories about our ancestors and soaking up the breeze and elements on inspiration filled walks. We are proud that Foot Trails features as one of the suggestions. See page 12 of the special supplement. We are number four of ten specially selected activities that make a break on the wild side. 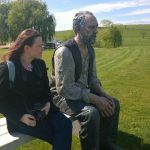 Our family friendly independent walking tour Somerset Knight’s based in South Somerset is available throughout this summer and is a perfect introduction to walking for families. The trip includes pick ups, drop offs, map and trail cards history notes, castles, villages and an indulgent yet down to earth country inn. Our apprentice James and I were introduced to Nick Clegg last week during his visit to Bath at the Co-working Hub where we work. 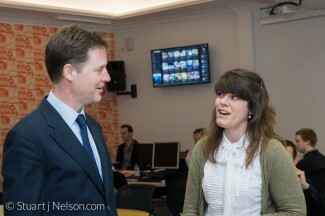 Nick Clegg walked around the Hub meeting several members and I was delighted when he stopped to talk to me about Foot Trails, when and why we started, how business was going and what our plans are for the future. We are honoured to be recognised for our journey and work in responsible tourism with a Gold level award from The Green Tourism Business Scheme. The third time we have achieved this level. The Green Tourism Business Scheme is the largest and most established sustainable program in the world. To achieve the gold level award Foot Trails was assessed against different criteria which looked at different ways the company operates through its business including in marketing, operations and management. “We believe it’s important to be mindful, to think about how we are doing things. I grew up in farming and there the link between action and result was clear. We’re so happy that Foot Trails was suggested by Woman’s Own magazine this week as a company to pick for a walking holiday in England. The article in issue April 28 is called “Best Foot Forward” and has ideas for walking experiences in different parts of the world including Austria, France and Scotland. 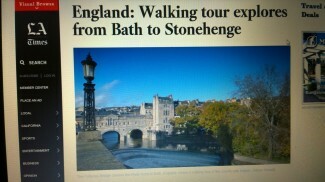 Foot Trails is suggested for those who wish to walk in England with special mention given to our Secret Cotswolds trip. Highlighted for the way in which it helps our guests avoid the crowds and tourist traps. If you would like any details about this holiday or any others please get in touch. We’d love to speak with you. You can email us at enquire@foottrails.co.uk Thank you Woman’s Own for shouting about us! As experts in rural England travel and tourism, Foot Trails are frequently asked to give interviews when stories happen which impact the rural economy. 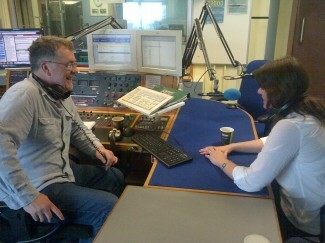 So this week we were invited to take part in programs on BBC Wiltshire and Irish radio Near FM. Founder Alison gave live interviews about her views on the storms and the weather which afflicted Britain earlier this month. Alison spoke about a need for clarity. Clear communication and a full picture to ensure that people were not affected by misinformation and given an over exaggerated view of the degree of flooding in the UK. Our hearts go out to everyone who has been devastated by the recent storms, especially those in the Somerset Levels in our region. For them the impact has been truly terrible she said. Yet simultaneously she said it was vital we continue to give the message that Foot Trails and many other rural tourism businesses are very much flood free and open for business. Foot Trails were completely thrilled to be one of 100 small businesses invited to Downing Street to celebrate the first ever small Business Saturday in the UK on 7th December. 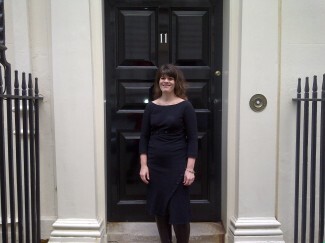 On Friday 6th December our founder Alison Howell attended a business reception at number 11 Downing Street meeting George Osborne, Chancellor, Chuka Ukamma, Shadow Business Secretary, Ed Vaizey, Minister for Culture and Communication and Matthew Hancock, Minister for Skills and Enterprise. After conversations everyone enjoyed tea and cake and Alison, having walked down one of the world’s most famous streets in her dress and a pair of walking boots, said it was day for Foot Trails that she would never forget.uctus nec ullamcorper mattis, pulvinar dapibus leo. 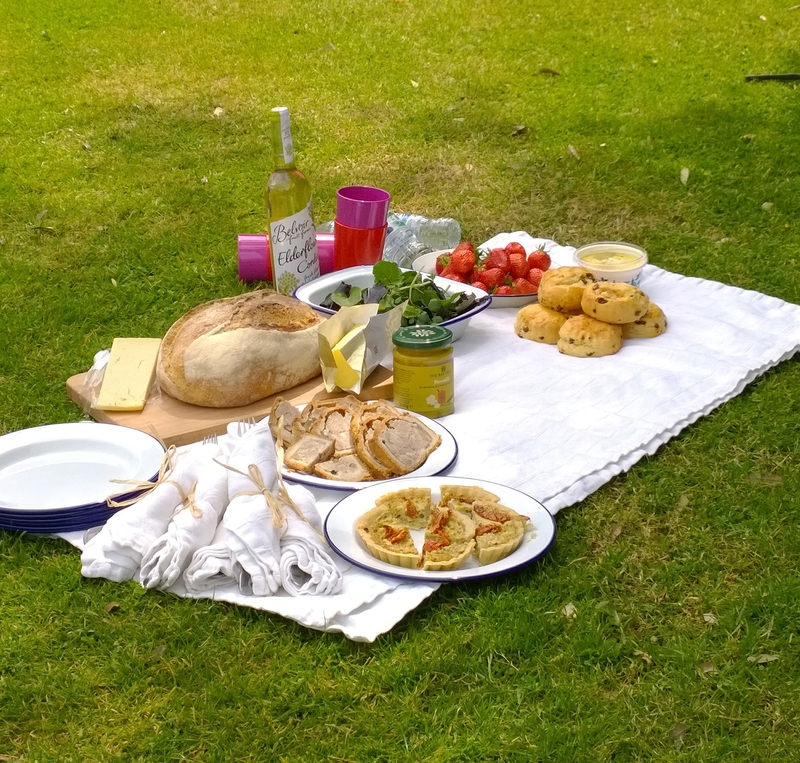 Coverage of Foot Trails achievement of the national Goldstar award in the UK Activity Provider category from the Green Tourism Business Scheme. In November 2013 Foot Trails was awarded the highly respected Goldstar, UK Activity provider. 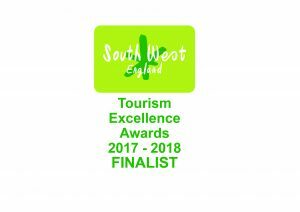 This was given to Foot Trails by The Green Tourism Business Scheme which is regarded as the world’s most credible sustainable tourism accreditation scheme. Foot Trails voluntarily puts itself forward to be scrutinized against vigorous standards of sustainable tourism and was declared Goldstar winner after achieving one of the highest scores in its gold grading in the UK and Ireland. Foot Trails is included in a super article that discusses being close to nature and holidaying in the English countryside in the July issue of the excellent International Lifestyle Magazine. Our spectacular ‘A Bluebell Trail’ features in an article recommending the best UK breaks to take over Easter in The Guardian’s Travel section. 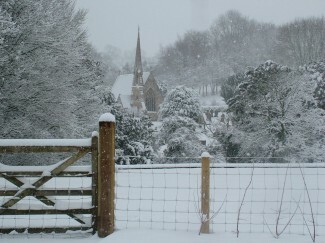 The magazine is on sale now and our Wiltshire Winter Warmer is included in an article titled ‘10 Easy Trips – As Winter Draws In Find Solace in a Quick Break’ For a sneak online preview, please follow the link below and then click on ‘View a sample of the latest issue here’ – you’ll find us on page 9! My rural remedy had been prescribed by a small Somerset-based specialist holiday company called Foot Trails, which is run by farmer´s daughter Alison Howell. Alison is the sort of person who spent her childhood climbing trees, learning the names of wild flowers, birds and fungi, and walking. And she still does a lot of the latter. 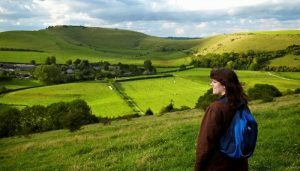 In an age when most of us drive to the shops, take the train or bus to work and fly to our holiday destinations, there are thankfully still some country people who love to explore on foot. I was taking advantage of Alison´s lifetime´s knowledge of paths, landscapes and little-known sights around the West Country. Her Foot Trails are a series of her favourite walking routes, and also include eating and staying at her favourite country pub. “When it comes to self guided walking, Jeremy Seal discovers it pays to let somebody else do the hard work first.” Jeremy Seal is a travel writer, journalist, broadcaster and sometimes tour leader. He was a guest of Foot Trails in 2008 walking in Wiltshire with us. Click below to read his article published in the Sunday Telegraph.